Peerbet offers a ‘pool game’ wherein you have to choose the prize value you want to have. Each of these prize values have corresponding ticket prices you must avail. Each ticket corresponds to one entry and will give you the chance of getting the prize value you are aiming for if you get lucky and win. On the other hand, Bitcoin is the only payment method accepted in this site. This Bitcoin gambling site assured that their game is Provably Fair. They claimed that they ‘can’t possibly change the outcome of the game.’ Also, they stated that it is impossible for them to know the results first before everyone else does since all of their games’ results are guaranteed by strong cryptography. Moreover, they also don’t impose any lower or upper limit on the bets you are allowed to place. You are allowed to deposit or withdraw with just one confirmation needed aside from the fact that you can use any strategy you want. Peerbet can also be accessed and played in the comfort of your mobile device or android gadget. All you have to do is download their software and install on your device. More than that, they assured that their mobile version is full-featured, easy to use and most definitely safe. Transparency is another great feature this Bitcoin gambling site provides. It offers a page for the Statistics where you can view the complete General Statistics and Raw Data which lets anyone to view a complete list of 100,000 recently completed raffles for statistical analysis. When it comes to information, all of the necessary details you have to know are clearly given and emphasized in this bitcoin brand. 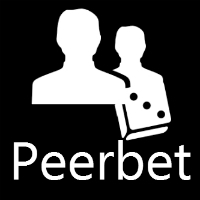 Indeed, Peerbet is a great bitcoin betting site. It offers ‘no house edge’ feature, extraordinary and techie bitcoin game, supports numerous languages, as well as features of convenience since it utilizes bitcoins. Hence, it is a must to give this bitcoin betting bet a try, not later or sooner but certainly now! On Altcoin Gambling: What Crypto Should Be Supported?